•	To remove crayon stains from clothes, spot treatment using oxyclean or oxygen bleach is extremely effective. Rinse the clothes with hot water and apply the oxygen bleach on the crayon stains. While doing this treatment avoid treating the big load of clothes in one go. •	If crayon marks are stuck in grout then WD-40 can be used to eradicate all the stains completely. You can use bristled brush to get into the rigid marks of crayon and loose those gently. Once the stains have removed from the grout surface, simply rinse everything with clean water. •	To remove crayon from upholstery, rub the stains with plastic bag filled with ice cubes. Once stains become soft, apply a dry solving agent and absorb the stains with clean cotton cloth. Repeat these steps until crayon marks disappear completely. •	If you want to remove crayon stains from walls then there are several cleaning solutions available in the market that can be used. However, the choice of solution depends upon the type of wall surface, whether it is painted or wall papered. Toothpaste and magic eraser are some of the effective tools which experts recommend. A paste made from mixing baking soda with water is also useful to remove crayon stains from painted walls. •	To eradicate crayon marks from wooden furniture and floors, mineral spirits is always recommended. It is mild solvent that is generally used to polish wood floors and furniture. 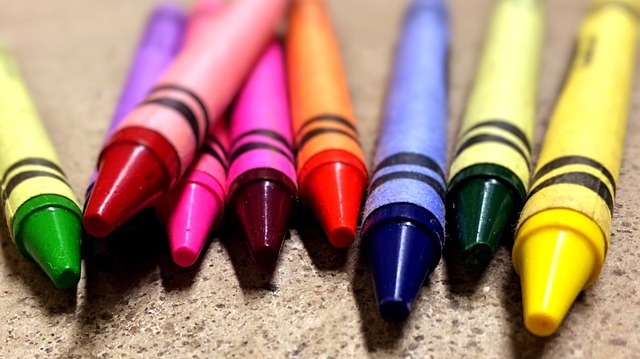 Once you apply mineral spirits on crayon stains, they will detach crayon wax from wooden surface. Before applying any cleaning wooden surface make sure you test it on small area to check whether it is not creating any reaction with wood. The quick fixes discussed above will definitely help you to remove crayon stains from important parts of your home easily.